It is so frustrating working alone with two animals. 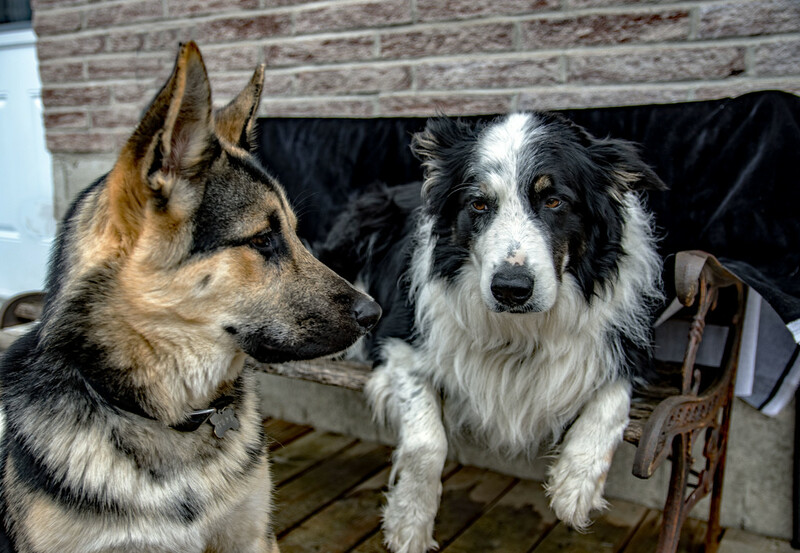 One is older and so obedient, the other just a puppy who wants to play more than please. I was so hoping to get a proper portrait of the two of them but I think the look on Shadow's face just says it all! LOL! Lots of personality captured here! Shadow's tired of all this nonsense. I think this is a wonderful portrait of these two great dogs.